The Island of Puerto Rico is where I was born and where I grew up. I graduated in 2010 from the University of Puerto Rico-Bayamón with a Bachelors degree in General Biology. During my time as an undergraduate student I had the fortune to have two mentors that introduced me into the fields of Ecology, Botany, Zoology and Genetics. My interest for environmental conservation and statistical analyses motivated me to continue growing as a scientist and I pursued a Masters degree in Plant Biology and Conservation from Northwestern University and the Chicago Botanic Garden focusing on population genetics and pollination. After two years in the Windy City, I returned to Puerto Rico where I worked with a field team in the Guanica Dry Forest UNESCO Biosphere Reserve setting up a 4ha Forest Dynamics Plot. While working on mapping trees, identifying and measuring them, it was interesting to observe the high variability of conditions where seedlings were growing. For example, some grew in karst outcrops with very little soil organic matter directly on intense sunlight while many others grew safely shaded by small trees and shrubs. Even more interesting were the tales of the taxonomist Ramon, of how most of the reserve used to be an old "barrio" , and later on a mahogany plantation (Swietenia mahogani), before it was established as a reserve. 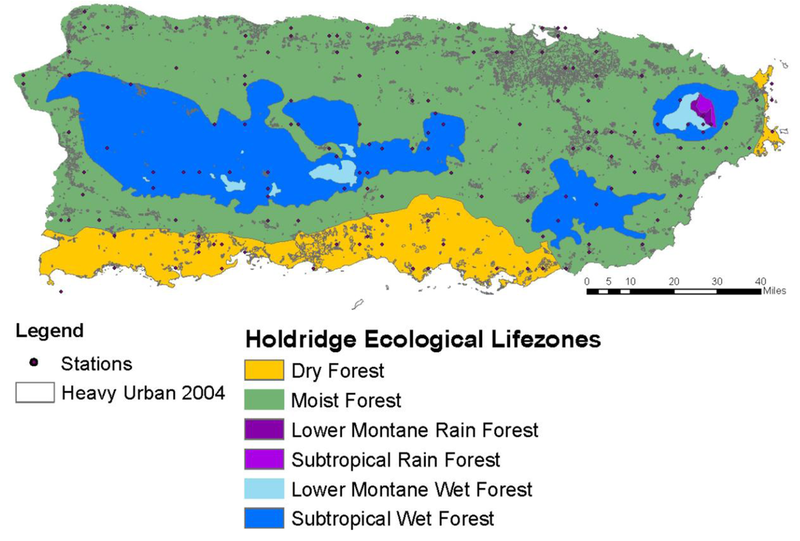 How important are each of these factors in producing the current and future composition and function of our forests in Puerto Rico? That is the guiding question in my current research as a PhD student in the University of Wisconsin-Madison. 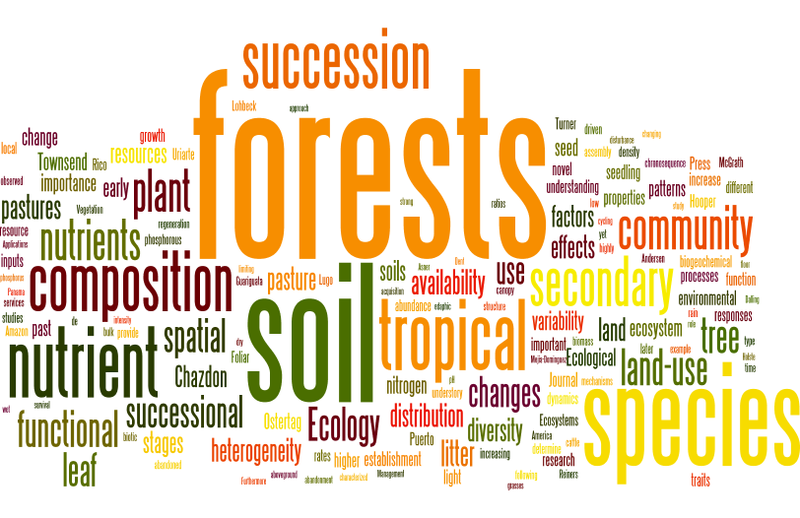 While I am not studying the dry forest, I have the privilege to work with Dr. Erika Marin-Spiotta on a humid forest chronosequence currently under succession from past pastures. Besides ecology, I am also interested in vintage bikes, futbol, softball and video games. Times outside the lab are spent playing with Chicharito (pet), practicing softball with friends, or drinking beers by the Union Terrace. I am married to a great wildlife ecologist Diana, and if we are not keeping up with the T.V series Louie, or Downton Abbey, you can find us biking around Madison. In the meantime I follow the teams Bayern Munich and other Bundesliga teams. My career goal is to return to Puerto Rico and continue to provide opportunities to undergraduate students that might not know the importance of their natural resources and that they can develop a career understanding and protecting the natural beauty of their home.